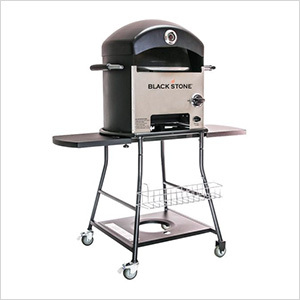 The Blackstone Patio Oven is incredibly versatile. Ready your taste buds for an avalanche of flavor as you cook all kinds of meats and veggies, pizzas, deserts, the possibilities are only limited by your imagination. The two ceramic stones create a baking area of high temperature perfect for your favorite steaks, chicken, fish or pizza. The bottom stone rotates making it easy to be the talk of the neighborhood parties as you amaze your family and friends with your culinary abilities.